If you follow me on social media you know about Joy. Joyful is our other daughter. She is spunky, smart, caring, naughty, and boy is she picky. She has all the traits of a toddler and requires a lot of patience, understanding, education, and exercise. When we got our beagle I wondered just how to take care of beagle puppy. She would chew anything and everything. She would chew things I wouldn’t think are appetizing like the stairs, shoes, and she even chewed her blanket. She would require a bedtime routine. I am not sure why after having 3 children I didn’t think that I would also have to sleep train a beagle puppy but I did. I have to walk her at the same time, give her a treat, tell her to go to bed, close the crate, turn off the lights and go upstairs. If I didn’t do all those things, she would whine. The third thing I didn’t realize was how picky she would be when it came to eating. 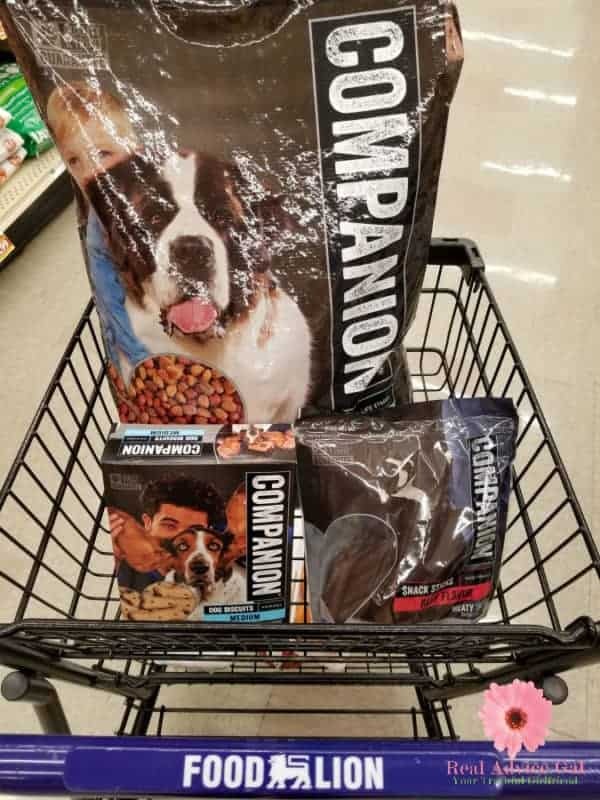 I figured you buy your dog some food. They eat the food. Game over. That was not how it is or was with Joyful. She likes what she likes. I have spent hundreds of dollars on dog food she didn’t like. She lets me know she doesn’t like it by moving it piece by piece out of her bowl and placing it on my rug. That is why I was so excited to try what we now call the Best Dry Dog Food. 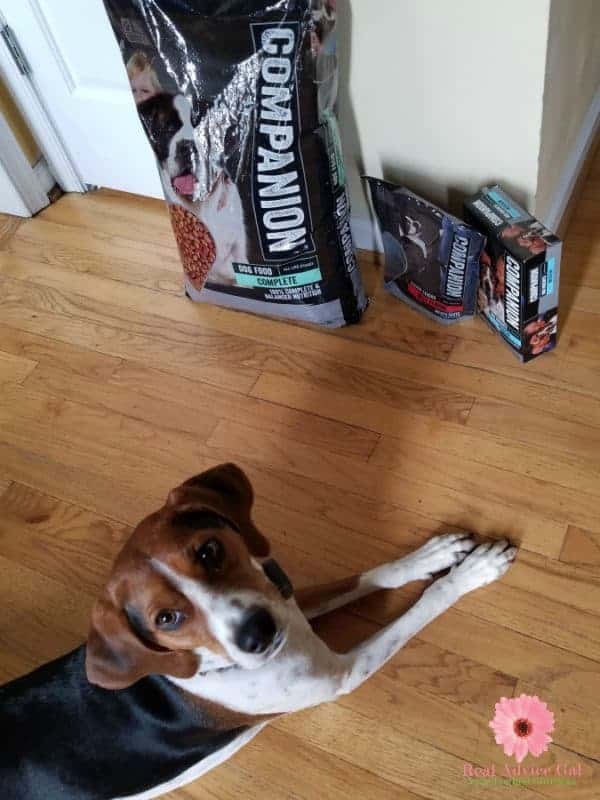 I know seeing is believing so here is Joyful eating her Companion brand dog food from Food Lion. She normally plays with her food. She relocates her food. She pushes it out of the bowl with her nose. She leaves it in the bowl refusing to eat it. That is how you know she likes Companion! As soon as I scoop it out of the bag she is right there by her bowl. We make her sit and wait and use the command “stay” before she can eat. This allows me to measure the right amount for her. That is part of how to train a beagle puppy. 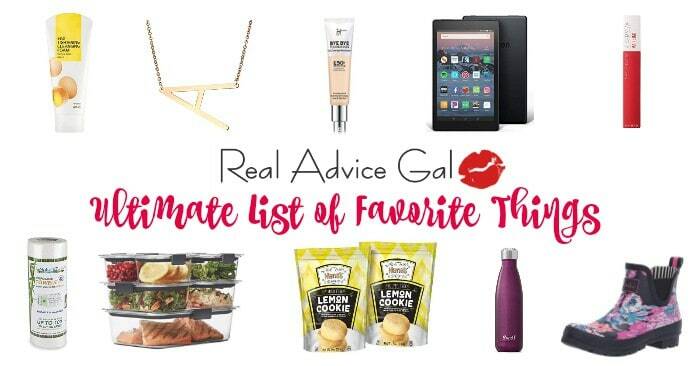 You must have a routine, food schedule, and the perfect amount of food. Why is it the Best Dry Dog Food? 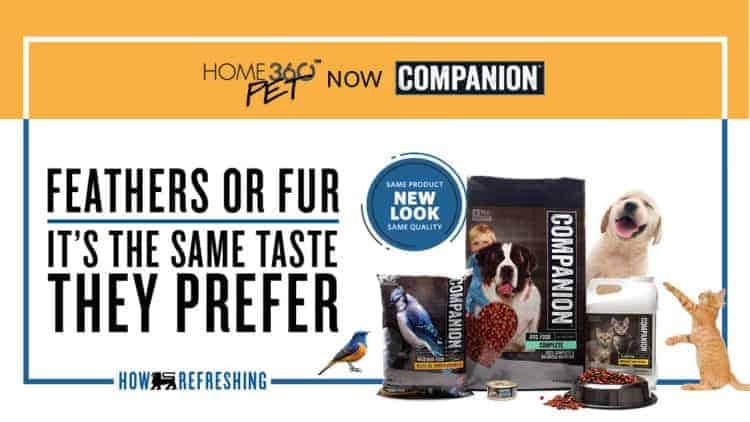 Companion is a brand of high-quality pet products that is a conversion from the original Home 360 Pet brand. Companion products span across food, toys, treats, and accessories for your cat, dog, and bird. My dog loves it. I love the value and the nutrition it offers her. That huge bag was really affordable! The treats were also inexpensive, she loved them. They are great to use when trying to reinforce good behavior. Good behavior is hard to come by sometimes, that is why having a treat your puppy/ dog loves is important. When you think about training a dog you have to remember it is like having a baby. I know how to train a beagle puppy because I remembered all the things I did with my children. 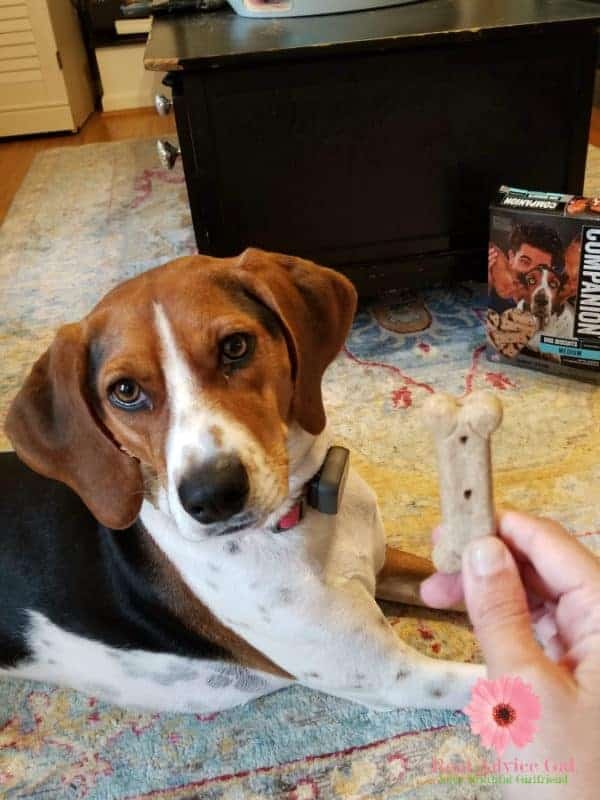 I teach her every day by having a routine, giving praise, reinforcing her with a treat and love. It is also important to me to live within in our budget. Having a pet is expensive if you do not manage your costs. That is why making sure your pet gets the proper nutrition will enable them to perform to the best of their ability. 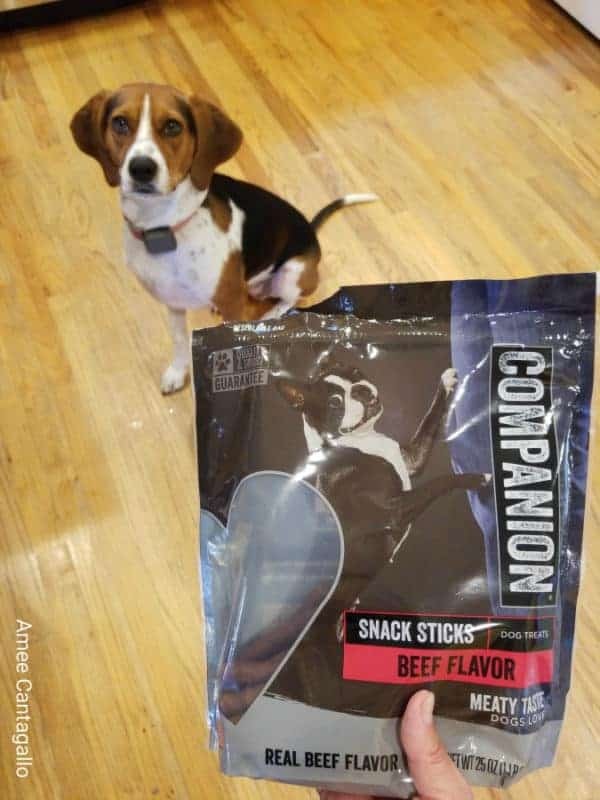 Companion offers that with their products they are affordable and apparently tasty! Joyful loves Companion and I love Joyful. The price and convenience of buying her food where I do my grocery shopping at Food Lion makes me want to jump for Joy. Visit Food Lion to learn more about Companion brand. Here’s good news for all my readers! I’m giving away $100 Food Lion Gift Card. Giveaway ends on 11/16/18 at 11:59pm EST.